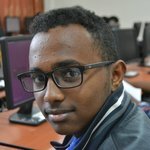 AddisCoder is a free intensive 4-week summer program in Addis Ababa, Ethiopia introducing high schoolers to programming and algorithms. The program ran previously in 2011, 2016, and 2018, and will run July 22 — August 23, 2019. If you are interested in applying to be a student or teaching assistant, click here. If you would like to join our mailing list and receive announcements, click here. For those interested in supporting us, click here. You may also follow us on Twitter, Instagram, or Facebook. 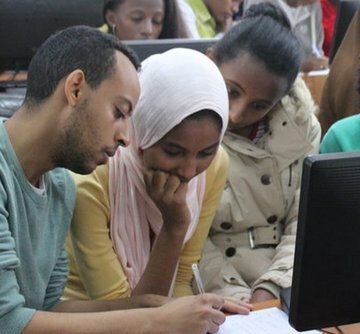 AddisCoder students are current high schoolers who come from all across Ethiopia for 4 weeks to take the course in Ethiopia’s capital city, Addis Ababa. 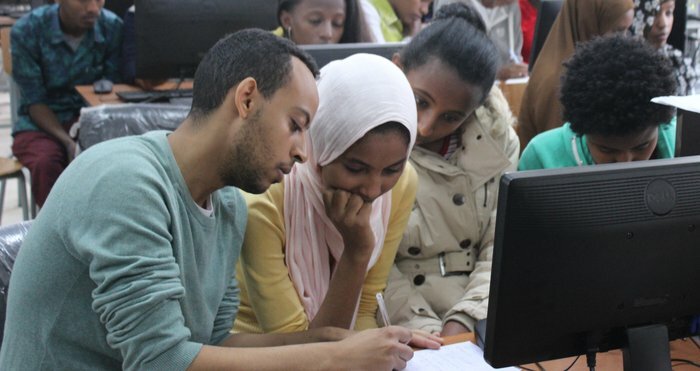 In the 2011 edition of the course, students registered themselves for the course via e-mail, whereas in 2016 and 2018 top-performing students were identified to participate by the Ministry of Education, in collaboration with the Meles Zenawi Foundation. The students taking the course are very strong performers in mathematics and basic sciences, often ranking amongst the top handful of students in all of Ethiopia on national exams (note: Ethiopia has a population of over 100 million! ), though in the vast majority of cases have little to no experience with programming. 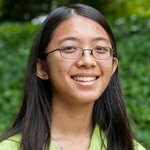 AddisCoder exposes these bright students to the field of computer science by teaching the basics of Python programming, as well as fundamental ideas in algorithm design and analysis. AddisCoder covers advanced topics usually not taught until at least the second year of university studies: order of growth, recurrences, induction, memoization, greedy algorithms, graph algorithms, sorting, and numerical algorithms. The course is very hands-on: class meets for 8-8.5 hours per day, including a lunch break in the middle, with only roughly 90-120 minutes devoted to lecture. The rest of a class day is devoted to hands-on lab exercises in which students solve problems by writing code. A number of students have gone on to be highly successful after completing the AddisCoder program (see the alumni section below). Over 330 students have completed the AddisCoder program thus far. Below we highlight just a small sample of them, sorted alphabetically by last name. Addis Ababa MIT, M.Eng. 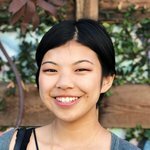 Computer Science (‘17), S.B. Computer Science (‘16). 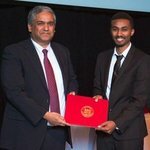 Shalom five times served as a teaching assistant for 6.046, MIT’s main introductory course in the theory of algorithm design, once winning the MIT EECS Harold L. Hazen Teaching Award for Excellence in Teaching (pictured at left with MIT School of Engineering Dean Anantha Chandrakasan). 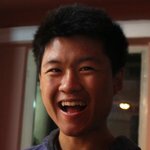 Also, as an undergraduate, he interned twice at Facebook and once at Autodesk. After finishing his M.Eng. 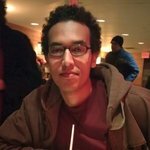 thesis in quantum communication under Prof. Peter Shor, Shalom now works as a software engineer at Google’s Cambridge, MA office. Addis Ababa Columbia University, Ph.D. Computer Science (ongoing). 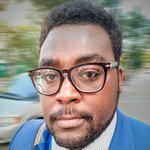 NYU Abu Dhabi, B.S. Computer Science (‘16). 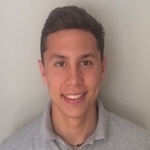 Immediately after finishing his undergraduate degree, Yilkal volunteered as a 2016 AddisCoder teaching assistant, having completed the program himself in 2011. 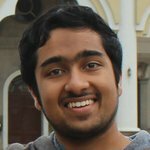 He then worked for a year in Cambridge, United Kingdom at ARM as a Software and Modeling Engineer before beginning his Ph.D. studies at Columbia University in 2017, with research focuses in computer architecture and security. Bahir Dar Stanford University, B.S. Computer Science (ongoing). Immediately after finishing AddisCoder 2018, Hailemichael along with other AddisCoder alumni Henok Ademtew and Nigusu Yenework ran a mini-version of AddisCoder in their hometown of Bahir Dar, at the local STEM center. A graduating high school senior, Hailemichael will join Stanford University as a Freshman in Fall 2019. Harar Seoul National University, B.S. Computer Science and Engineering (ongoing). 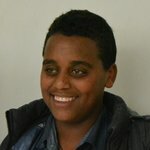 After achieving the second highest score in his state on the Ethiopian University Entrance Exam, Dawit went on to be accepted by the European Summer Program on Rationality at King’s College London in 2017 with full financial support, though unfortunately could not attend due to being repeatedly denied a visa to enter the United Kingdom. 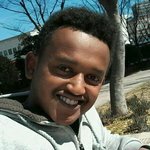 Later in 2017, due to his strong national examination performance, the Ethiopian government selected him to apply for a competitive undergraduate scholarship program to study in South Korea. He was recently accepted with full scholarship to attend Seoul National University, the top university in South Korea. Before beginning his studies there, his scholarship is sponsoring him to take Korean language courses at Silla University in Busan. Addis Ababa Harvard University, A.B. Computer Science (‘17). 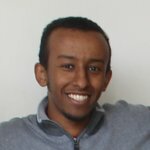 While an undergraduate at Harvard, Hilawi started his own introduction to computer science course in Addis Ababa, teaching both software and web development to high schoolers. He also worked as a developer and online design director for The Harvard Crimson, the campus newspaper. 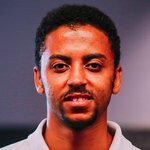 Hilawi is now a software engineer working on data and analytics for Windows at Microsoft in Redmond, WA. Addis Ababa University of Girona, Master's in Medical Imaging and Applications (ongoing). Addis Ababa Institute of Technology, B.Sc. 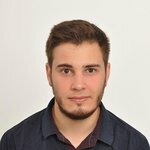 Electrical and Computer Engineering (‘17). Mahlet is currently enrolled in an Erasmus Mundus joint degree program coordinated by the University of Girona (Spain), with University of Burgundy (France) and University of Cassino and Southern Lazio (Italy) as partners. 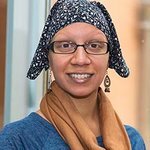 As a student in this program, Mahlet will spend time in all three countries. 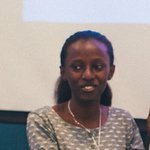 After her studies, Mahlet plans to work in industry in Ethiopia, in the medical devices sector. Akobo St. Paul’s Hospital Millennium Medical College, M.D. (ongoing). Gatluak was born in Akobo, a rural woreda that contains the westernmost point in Ethiopia, on the border with South Sudan. His parents were pastoralists who raised sheep, cattle, and goats. Though they never attended primary school and could not read and write, Gatluak decided to move to the capital city of his state, Gambela, and live with elder siblings to enroll in 1st grade when he was 13 years old. He first touched a computer in 10th grade at the age of 21, then participated in AddisCoder a year later. 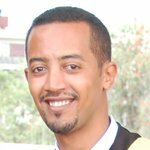 After being accepted in 2017 to the competitive St. Paul’s Medical School in Addis Ababa, he decided to enroll there and is now pursuing his M.D. Dessie Korea Advanced Institute of Science and Technology (KAIST), B.S.E. Electrical Engineering (ongoing). 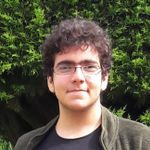 Yonatan has long been interested in physics, though he participated in AddisCoder after his junior year of high school out of curiosity to learn more about another technical field. 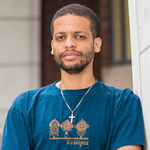 Also in his junior year, he won first place in a statewide physics competition across Amhara Regional State, a state of population over 17 million. This feat earned him a free trip to South Africa to visit the South African National Space Agency. 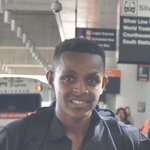 After his senior year, he then went on to earn the third highest score in the country on the 2017 Ethiopian University Entrance Exam. 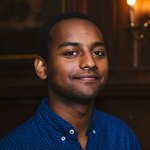 This led him to be featured in a 30-minute interview on Amhara TV, and he was later again interviewed by the Ethiopian Broadcasting Corporation. 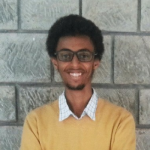 He spent a year as a medical student at Addis Ababa University before earning a full scholarship to study at KAIST. 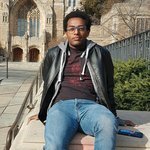 Addis Ababa University of Maryland, College Park, Master's in Telecommunications Engineering (ongoing). Trinity College, B.Sc. Electrical Engineering (‘17), Physics (‘17). 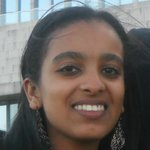 After earning the third highest score in the country on the 2011 Ethiopian University Entrance Exam, Barok studied at Addis Ababa Institute of Technology for a year before earning a full scholarship to attend Trinity College in Hartford, CT. 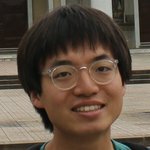 There he participated in undergraduate research in computer science, and also was Chief Engineer in the university Robot Study Team and a volunteer robotics teacher to middle schoolers in Summer 2015 in Hartford. Barok is another AddisCoder alumnus who volunteered as a teaching assistant in the 2016 edition of the course. Addis Ababa University of Southern California, Ph.D. Computer Science (ongoing). Trinity College, B.Sc. Computer Science (‘17). Basileal, the brother of Barok (see above), also attended Trinity College on a full scholarship. 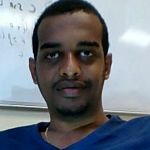 Having participated in undergraduate research in both high performance computing and robotics, Basileal is now pursuing his doctoral studies with a research focus in DNS privacy. Addis Ababa Columbia University, B.S. Computer Science (‘17). 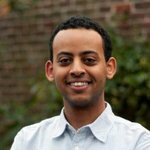 As an undergraduate at Columbia, Natan founded Counseling and Test Preparation, Inc., an organization commited to training and mentoring Ethiopian high school students regarding the U.S. college admissions process. 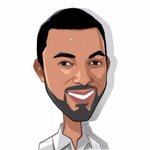 He is simultaneously Program Lead at Enza Academy, a program devoted to providing technology training to students of color. 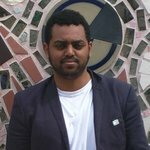 For his day job, Natan is currently a Technical Analyst, writing software at Computer Trust Corporation in Boston. Addis Ababa Princeton University, B.S. Computer Science (ongoing). 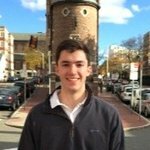 Michael is currently working on his senior thesis in computer science under Prof. Szymon Rusinkiewicz in the Princeton Graphics Group on 3D reconstruction using neural networks. 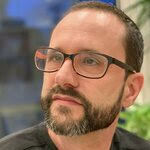 He has also been a volunteer for CONTACT Princeton, a crisis and suicide prevention hotline. After graduation, Michael plans to work at a machine-learning focused startup. Debre Markos MIT, S.B. Computer Science (ongoing), S.B. Physics (ongoing). 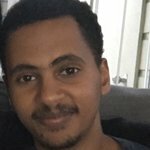 Yosef achieved the second highest score in the country on the 2017 Ethiopian University Entrance Exam. 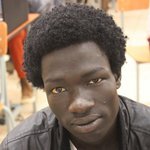 For this feat, like Yonatan he was also featured in a 40-minute interview on Amhara TV, and was later again interviewed by the Ethiopian Broadcasting Corporation. 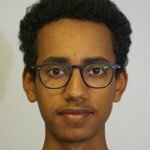 Yosef is currently engaged in undergraduate research in physics, and he is interested in eventually pursuing research in the field of quantum computing. Addis Ababa Princeton University, B.S.E. 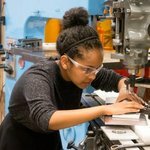 Mechanical and Aerospace Engineering (ongoing). 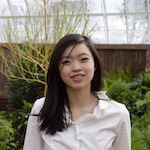 Fitsum has participated in a number of research opportunities during her undergraduate studies at Princeton, including electrochemical engineering research on batteries, fluid mechanics research related to blood hemolysis, and the development of biomedical devices to be used in treating cancer patients. 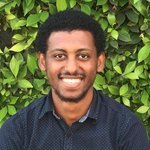 After gaining work experience and pursuing further graduate study, Fitsum is interested in starting a biotechnology company back in Ethiopia. Hawassa Hawassa University, M.D. (ongoing). 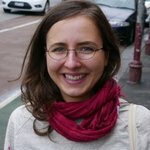 Beti had no prior experience with computer science but fell in love with the subject after participating in AddisCoder 2016. 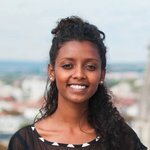 After graduating as valedictorian of her class of over 1000 students at Tabor Secondary and Preparatory School in 2017, Beti participated in a summer program at Harvard on innovation, entrepreneurship, and technology before returning to Ethiopia to begin her studies toward a medical degree. Bahir Dar Cornell University, B.S. Computer Science (ongoing). As mentioned above, immediately after finishing AddisCoder 2018, Nigusu along with other AddisCoder alumni Henok Ademtew and Hailemichael Alemneh ran a mini-version of AddisCoder in their hometown of Bahir Dar, at the local STEM center. 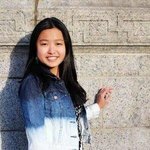 A graduating high school senior, Nigusu will join Cornell University as a Freshman in Fall 2019. Addis Ababa Princeton University, B.S.E. Computer Science (‘16). 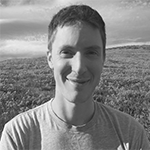 Being interested in theoretical computer science, Michael pursued research in complexity theory with Prof. Mark Braverman before graduating in 2016. Like Yilkal and Barok above, Michael then volunteered as a 2016 AddisCoder teaching assistant. 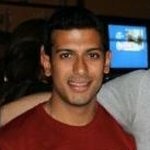 He is now a software engineer at NetSuite in the Bay Area. Addis Ababa Addis Ababa Institute of Technology, B.Sc. 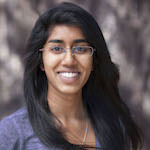 Electrical and Computer Engineering (‘16). 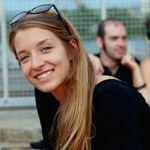 Lydia began her undergraduate studies after graduating as valedictorian of her high school. 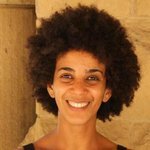 After graduating, her work with a team of other recent graduates was featured on CGTN Africa for a project that could potentially impact how waste management is handled in Ethiopia. 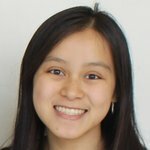 In the future, she plans to pursue doctoral studies in computer science. AddisCoder 2019 will run July 29 — August 23 in Addis Ababa, with activities for teaching assistants starting a week earlier (from July 22). In 2019 part of our student body will consist of government school students from all over Ethiopia directly invited to the program by the Ministry of Education, but our staff will also admit some number of students from a publicly available application. 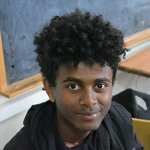 If you are currently a high school student in an Ethiopian high school and would like to apply to AddisCoder 2019, please apply here*. We are looking for students who have excelled academically in their schools, especially in mathematics and related subjects; no programming experience is required to apply. Note: as the course is taught entirely in English, applicants should have a strong command of the English language. AddisCoder provides dormitory rooms and meals for all student participants. Student application deadline: We will begin reviewing applications on April 1. While we may still admit students who apply afterward, we strongly encourage you to apply by that date. Please click here* to apply to be a teaching assistant. Positions are limited and will be filled on a rolling basis, so we encourage you to apply early. AddisCoder provides flights and housing for all teaching assistants; limited stipend support may be available for some TAs in need. TAs should have some comfort with introductory algorithms and basic programming in Python (see our previous syllabi). We encourage TA applications from all nationalities and age groups, and from diverse backgrounds. 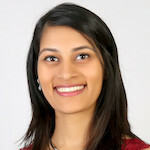 Previous TAs have ranged from graduating high school seniors with algorithms experience, to current PhD students, to senior software engineers in industry. We also strongly encourage applications from women and other underrepresented groups; recent cohorts of high school students taking the course have included 40-45% women, and we hope for that number to grow! AddisCoder has recently been incorporated as a 501(c)(3) tax-exempt nonprofit organization (Federal EIN: 83-2581871) and welcomes donations from individuals via the button above. Please also join our mailing list for future announcements or follow us on social media. If you are a company that would like to support AddisCoder, please contact us (addiscoder-admin@seas.harvard.edu). We are looking for representatives from IT-related companies to speak to our students during our program’s Career Day (in Addis Ababa), as well as for corporate sponsors. Staff for the various iterations of AddisCoder are listed below.